Just a while back I got some super cute and comfortable combat boots at Rue 21. I love wearing them with jeans in the winter because when I have jeans that don’t fit length wise I can always wear those boots to cover it up. I then started thinking for more ways I can style those boots and I thought about how cute it would be to wear them with a dress or a skirt. I tried it on with one of my dresses that matched the boots and it looked good, but it was missing something. It was missing something on the legs, so I though about boot socks. I don’t own any boot socks, so I went to go buy some. The problem was that when I went looking, I never found anything unique or different. So I decided that I was going to try and make my own. 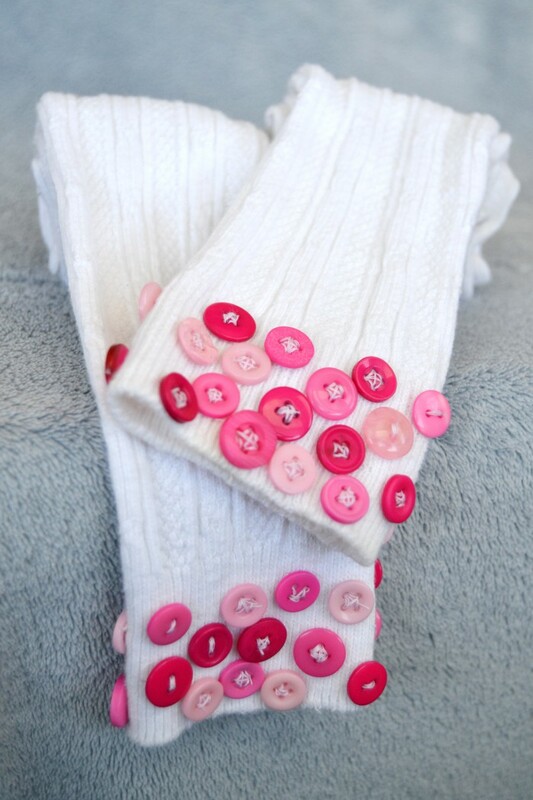 What you will need to make your own DIY buttons boot socks are buttons (your choice of color and preferably smaller size), thread the color of the buttons you are using, a sewing needle, long socks, scissors, and if you don’t know how to sew you can use fabric glue. Although I have to admit that I don’t know how the fabric glue is going to hold the buttons after washing. I’ll update you on that once I wash them. 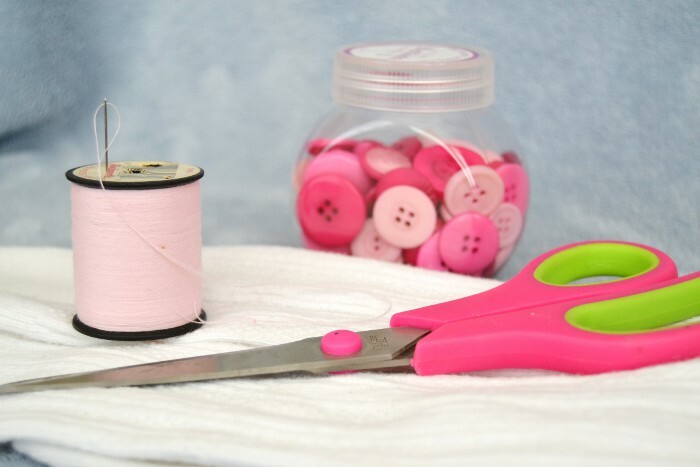 Before you start sewing or gluing make sure you have enough buttons because you are going to need a good amount of them. Also, before you start sewing or gluing you need to lay out the buttons out on the sock they way you are going to sew them on. Make sure that there are more buttons on because the sock will later stretch out giving more space between each button. Once you have the buttons arranged the way you want it, start sewing them in. It may take a while depending on how good you are with sewing or gluing. Once I finished with the sock I tried it on and the hard work definitely paid off. 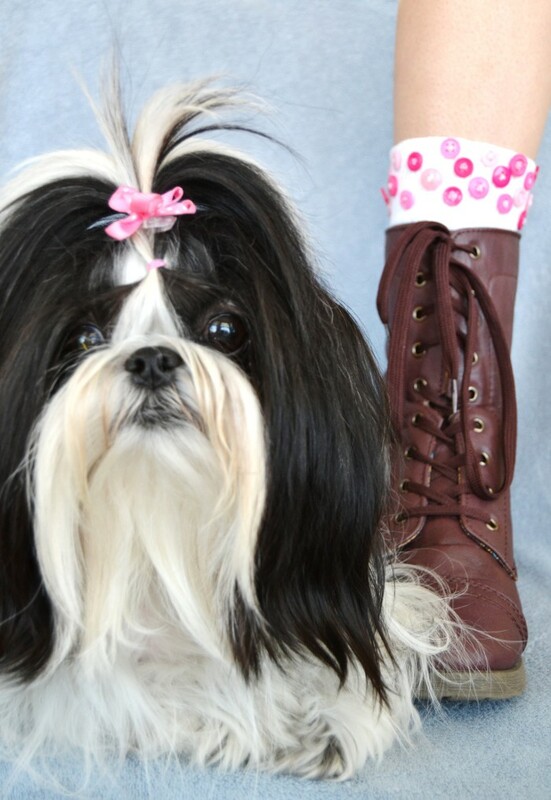 The socks were super cute and even cuter with the boots. 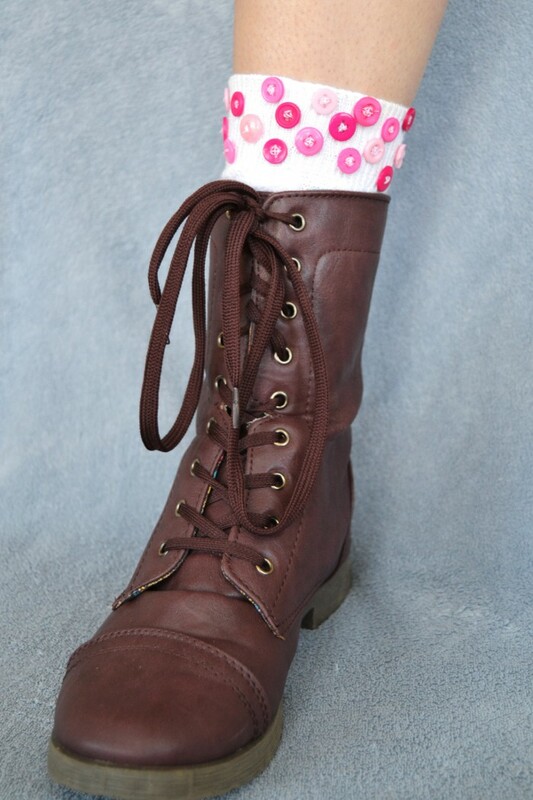 This is definitely a cheaper and cuter way to get boot socks.